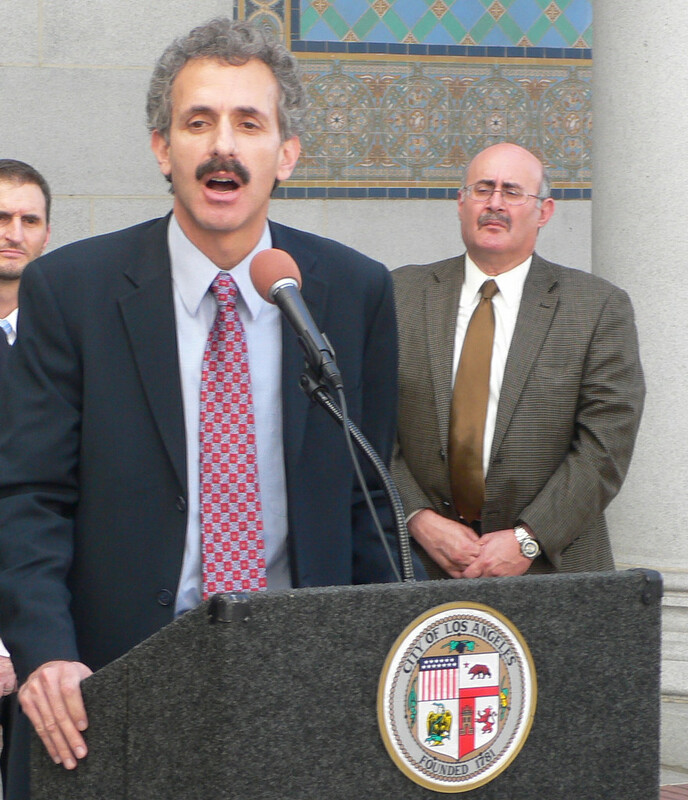 City Attorney Mike Feuer and District Attorney Jackie Lacey recently announced they have secured a settlement with Silver Lake Medical Center over allegations of the improper discharge of homeless patients. The settlement establishes new protocols for discharging homeless patients and directs the facility to spend $550,000 to fund a new Homeless Patient Assistance Program. Additionally, Feuer and Lacey announced they will co-host a Summit on Humanely Discharging Homeless Patients later this summer. The summit will bring staff from various Southern California medical facilities, together with health, social services and law enforcement experts, to grapple with the challenges associated with the discharge of homeless patients. The City Attorney’s Office initiated an investigation into Silver Lake after a whistle-blower provided information of an alleged practice of homeless patient dumping over an extended time with numerous alleged victims. The Medical Center was cooperative and collaborative during the investigation and ensuing settlement process. The city attorney and the Los Angeles district attorney have entered into a settlement that will end these practices, provide robust protections for patients who are discharged, and provide funding to assist in housing homeless psychiatric patients who are released from the facility while ensuring that Silver Lake Medical Center remains as an important part of the much-needed inpatient psychiatric network in Southern California. As a full service psychiatric facility with 118 beds, Silver Lake Medical Center is an integral part of L.A.’s mental health system and provides critical services to its patients. This settlement will protect those patients who seek treatment at its facilities located in Rosemead and Echo Park and provide them with access to critical social services and housing. The settlement includes a strong injunction and requires Silver Lake Medical Center to begin implementation of its sweeping new “Special Populations Discharge Planning Protocol,” as well as to establish a training program for all hospital staff involved in discharge planning. Silver Lake must provide discharged patients with the best possible housing options to meet their needs, confirm the availability of recommended housing options prior to discharge, ensure that each homeless patient is offered appropriate transportation and a warm hand-off, determine if a patient is eligible for housing or other social services and assist patients in identifying and applying for those benefits, and provide information about how patients can access psychiatric and other medical and social services after discharge. The training program will educate staff members on how to properly discharge homeless patients consistent with local, state and federal law, and will educate staff members how to best address the needs of its homeless patients. Silver Lake Medical Center will spend $250,000 of the settlement to directly cover expenses charged by housing providers which offer suitable placements for homeless patients who cannot afford such services upon discharge. To date, Feuer has settled eight cases with hospitals, nursing facilities, and medical centers over allegations of unlawful discharge of homeless patients and secured more than $4 million in judgments. In each case, these facilities were mandated to implement new procedures aimed at assuring the lawful, humane discharge of homeless patients. The City Attorney’s Office maintains a patient dumping hotline and encourages anyone that sees it or suspects it to call (213) 978-8340. The City Attorney wishes to thank Molly Davies, director of the city and county of Los Angeles long-term care ombudsman program for her assistance with this case. Assistant City Attorney Will Rivera, Supervising Deputy City Attorney Christina Tusan, Deputy City Attorney Will Jay Pirkey, and Deputy City Attorney Gina Lee from the L.A. City Attorney’s Office, as well as Head Deputy District Attorney Stanley Williams, Assistant Head Deputy District Attorney Hoon Chun, and Deputy District Attorney Leonard Torrealba from the L.A. County District Attorney’s Office, handled the settlement of the case.